"models the physical conditions in a biotope and is populated by plants and animals that are found together in that biotope. 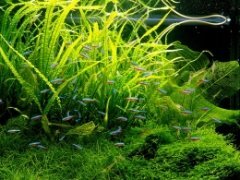 In an accurate biotope aquarium, the water temperature, water movement, water chemistry, color and turbidity mimic the natural habitat. Stones, wood and debris, if present in the biotope, are also present in the biotope aquarium. 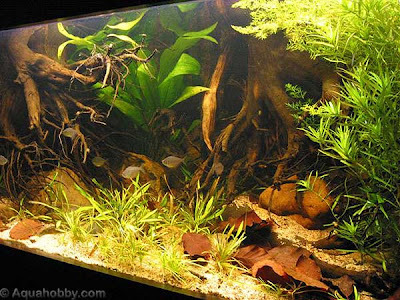 The substrate in the biotope aquarium is similar to the natural substrate." 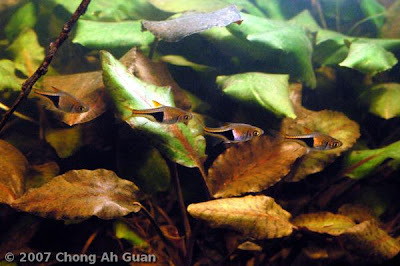 For more information on biotope aquariums and examples of freshwater biotopes, try Badman's biotope page.